When I showed you how to wash, dry and cut burlap I promised I would be back with a few table runner ideas. I already shared my no sew burlap ruffled runner tutorial. Today I’m here with a runner that’s even easier and so fast. 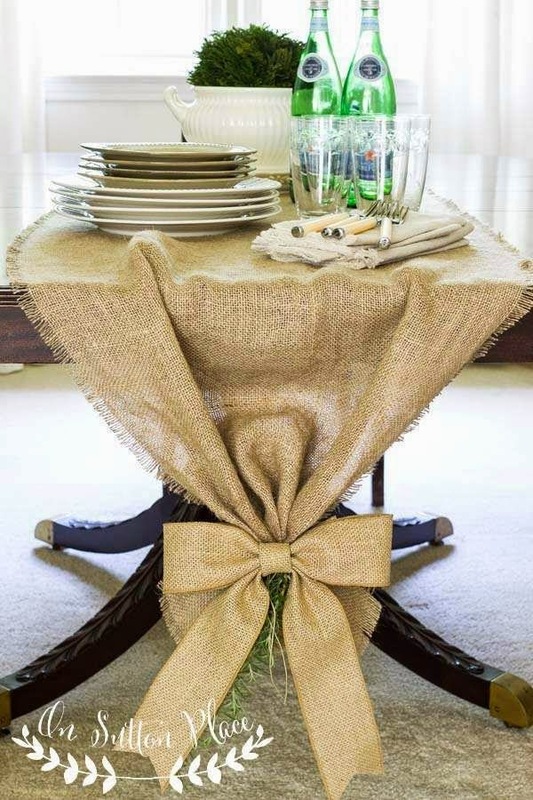 Basically all you need is burlap, scissors and an iron!